Some of you may remember my sad story about the neighbors dog killing all but two of my chickens and my little Turken rooster. Shortly after the incident occurred, I was talking with said neighbor and told them about what had happened. They were beyond horrified. She couldn't stop apologizing and offered to replace them. I insisted that she not worry about it, but she wouldn't take no for an answer. True to her word, a couple days later her husband presented us with 6 new chickens. I now have the most interesting flock I have ever seen. 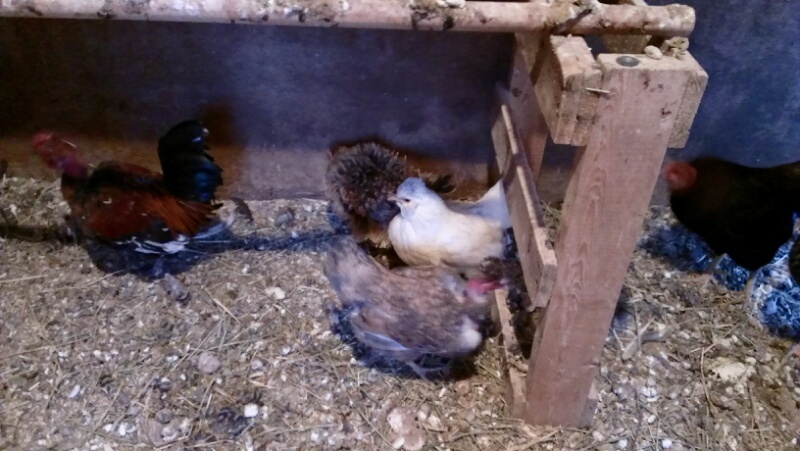 In addition to my two Barred Rock hens that I already had, I now have two Turken hens, a Turken rooster, a Banty rooster, and two little hens that I'm not quite sure of the breed. The little brown hen is just the cutest little thing. She looks more like she has fur than feathers. My egg cartons are more colorful too. I get 2 to 3 eggs a day. I'm pretty sure that my Barred Rock hens are alternating days because there is a distinct difference in the shades of brown. At least 2 of the new hens are laying too. 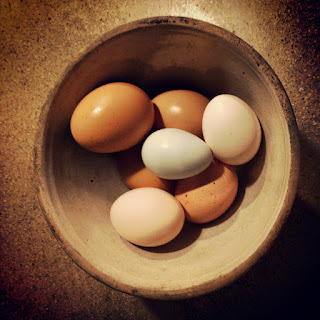 One produces a tiny blue egg. I'm betting that it's the little brown fluff ball. 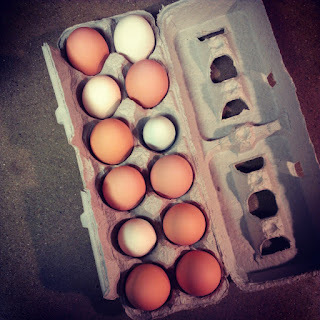 Turkens produce brown eggs and unless their eggs are as big as the Barreds' (which I doubt because of their size) they aren't laying yet. According to the neighbor, they still have several weeks before they reach maturity. I'm very glad that this was resolved to peaceably and that we are still friends with the neighbors. I can imagine the turmoil that would have ensued if I had shot their dog or run over there screaming and threatening. While I still wish it hadn't happened, the new chickens are kinda growing on me. I am glad things worked out so well for you. I know I had said before you could have shot the dog, but you are right. It isn't quite the answer. What you did was the right thing and the neighbor responded the right way also. 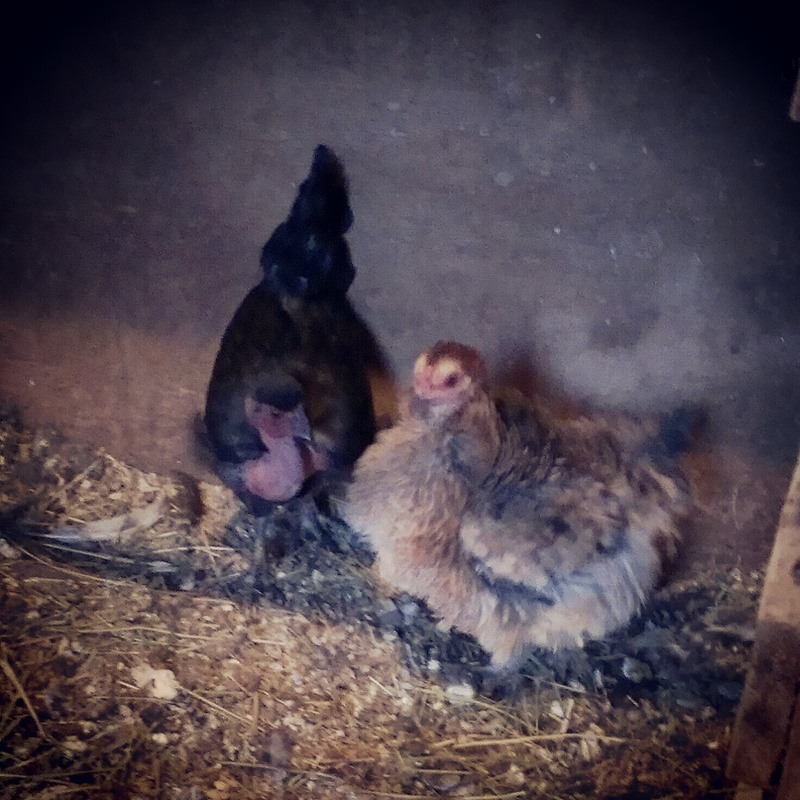 Beautiful new ladies in the hen house. Yeah for you. Rachel when I first happened, I wanted to shoot that dog like none other. But she wasn't a threat to the kids and she hadn't ever done it before. I can't promise how nice I'll be though if she does it again. I am glad the sad story had a happy ending! I'm so glad for you. Those are some cute birds. The white one looks like maybe a Polish/Aracona cross. If so she might be your green layer. I have several like that in various colors and many of them lay blue or green eggs. It's great you're getting that many eggs from so few hens. Hope they stay safe. Hello! The little brown hen is so cute! I think the hunter comes out in dogs when they see chickens and ducks. If they were not raised with them, they just do what is natural. It happened to us! My dog killed 7 peking ducks, and waited on the porch. She thought she did something good! Your neighbors did the right thing. I'm so glad that your neighbor tried to resolve the situation! Love the pics! Not that I'm remotely like an expert but I think its Araucanas and Ameraucanas that lay the "Easter Eggs". I'm glad that this has all settled amicably for you. Enjoy your new birds. 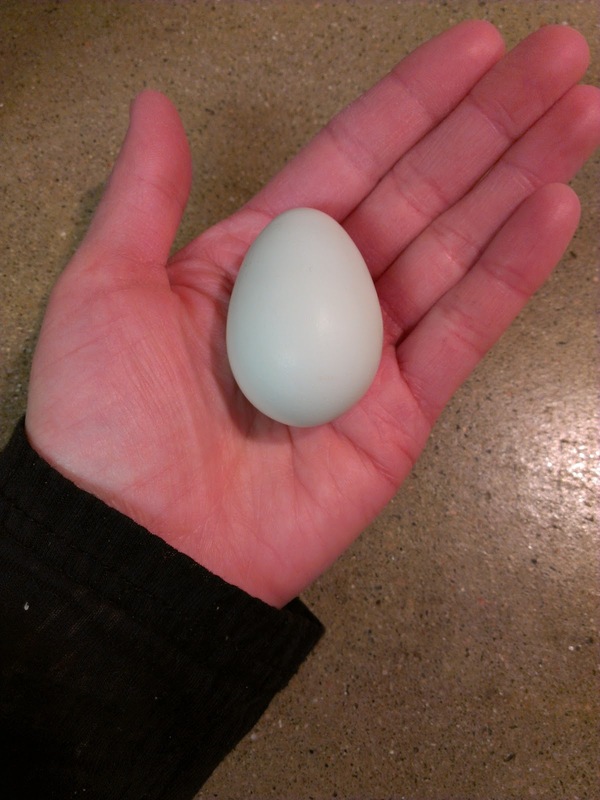 Araucanas and Ameraucanas lay the light blue eggs. I'm glad this was settled in a friendly manner.